OTTAWA, August 22, 2018 – Nine out of 10 accountants and auditors at the Canada Revenue Agency (CRA) believe Canada’s tax system benefits corporations and wealthy Canadians. They want to see funding of the CRA returned to pre-2012 levels and reinvested in employee training and technology to keep pace with the complexity of tax avoidance schemes. The Professional Integrity, Workplace Satisfaction and Tax Fairness Survey results were released this week by the Professional Institute of the Public Service of Canada (PIPSC), which surveyed a subgroup of its members known as the Audit, Financial and Scientific Group (AFS). 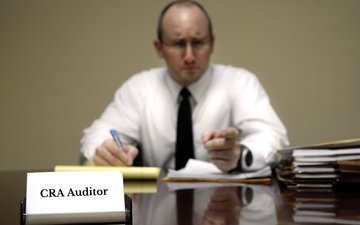 Of the survey respondents, 79 per cent are classified as auditors by the federal government. “These findings highlight the difficulties our members face to ensure Canada’s tax system remains fair in the face of off-shore tax havens and other tax avoidance schemes,” says PIPSC President Debi Daviau. Daviau credits the Trudeau government with investing “significant amounts” in the CRA since 2016, the year of the Panama Papers, when 11.5 million tax-related documents from the Panamanian law firm Mossack Fonseca were published by media outlets around the world. According to the survey results, the majority of CRA auditors believe inequities exist in both the national tax system and international treaties, benefitting wealthy Canadians and corporations respectively. Budget cuts and “political interference” appear to weigh heavily in the minds of CRA auditors, who believe the CRA has neither the technology, training or capacity to properly enforce tax laws. While the survey did not ask for years of experience with the CRA, almost half of respondents were over the age of 50, presumably long-standing employees of the civil service. Almost eight in 10 respondents say CRA technology has not kept pace with tax avoidance schemes. Only 16 per cent believe the CRA has adequate coverage capacity to apply tax laws fairly across the country. Eight in 10 believe the CRA could raise more revenue by applying the rules already in place.